Maldives is the picture of a perfect island getaway: deep blue seas, turquoise reefs, white sandy beaches and palm trees. It is also a place full of character, where its people have long spent their days languishing in the very essence of idyll living. The country is made up of 1,190 coral islands formed around 26 natural ring-like atolls, spread over 90,000 square kilometers. 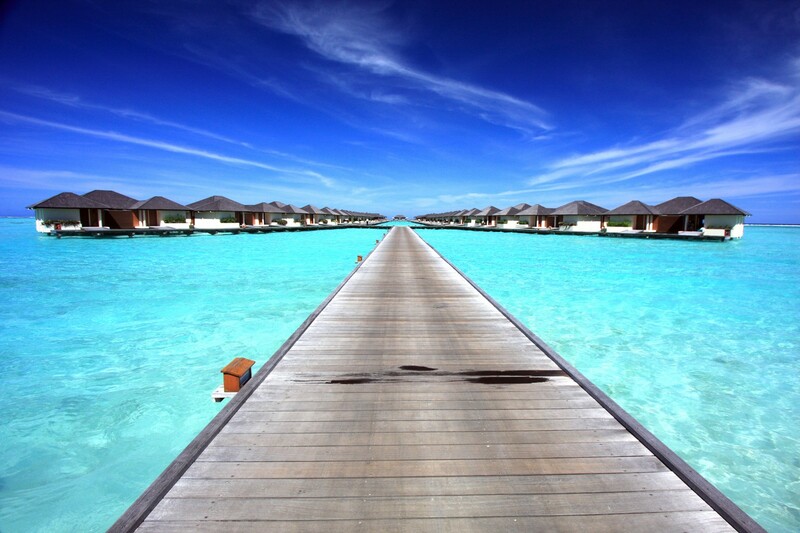 Ninety-nine percent of the Maldives is made up of sea. The people of the islands are widely dispersed across the atolls, with about 200 inhabited islands. The warm seas of Maldives have high visibility throughout the year with water clear enough to see the passing fish as far as fifty meters away at times. Add to that the marvelous formation of over 3000 coral reefs and the free flowing tides of the monsoons. These perfect conditions have created one of the world’s richest coral reef diving areas. Over a thousand species of fish and other underwater creatures inhabit the Maldivian waters. In the Maldives you will get to see everything. From tiny shrimp and groups of colorful swimmers to the magnificent mantas and sharks, diving here will give you enough to thrill you for a lifetime.